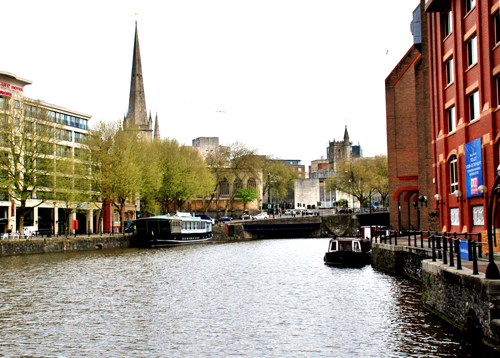 If your house sitting assignment or holiday is in Bristol, you are staying in England’s sixth largest city which is built around the River Avon. This connection to the sea has propelled the progress of Bristol through the years, making it South West England’s centre of education, employment and culture today. In the 14th century, the city was a centre of shipbuilding and manufacturing, making it the second most important port in the country and the jump off point for expeditions to the east, west, across the Atlantic and to North America. The ships turned Bristol into a focal point of smuggling and the slave trade, and at one time more than half a million people were carried from Africa on 2,000 ships fitted out at Bristol to live as slaves in the Americas. With the advent of air travel Bristol became a natural base for aircraft manufacturers who set up their factories in the city. The aerospace industry together with electronics and creative media industries continue to be a dominant factor in the economy of Bristol. It also welcomes almost 10 million foreign tourists every year making it the UK’s seventh most popular destination. There is so much to do house caring in and around Bristol! “See No Evil”, Europe’s largest street art festival began in Bristol in 2011. 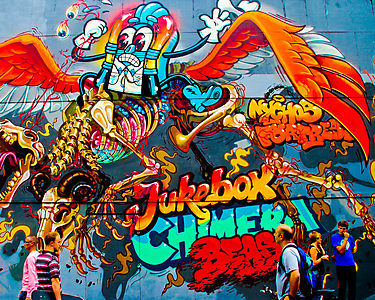 A week-long graffiti art event, it features murals of different sizes including one painted on a 10-story office building, leading many to consider Bristol as the world’s capital of urban art. Bristol Harbourside is the site of one of the eight Foodies Festivals in the country. Here world-famous chefs conduct workshops, demonstrations and tastings for food lovers from around the world. 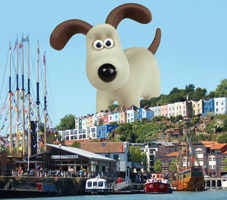 From July to September 2013, Bristol is staging a Gromit Unleashed festival, featuring giant sculptures of the character from the popular British stop motion comedy series. The organization PRS for Music named Bristol as The Most Musical City in the UK in 2010. Bristol also boasts the Theatre Royal, the oldest theatre in England that’s been operating continuously. It is one of the many venues in the city that host productions of national touring groups and theatre companies. Bristol was the birthplace of Cary Grant and The Bristol Old Vic Theatre was where world-famous actors and actresses like Patrick Stewart, Jeremy Irons, Miranda Richardson, Daniel Day-Lewis and Gene Wilder learned their craft. 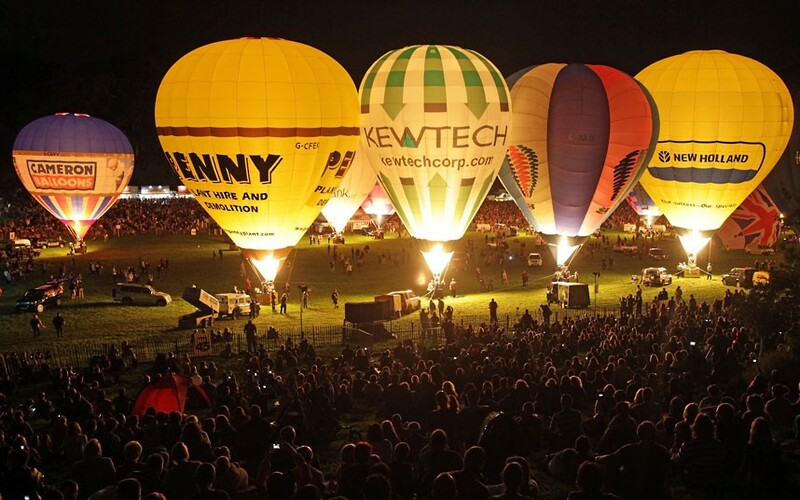 Every year in August, Bristol stages the Bristol International Balloon Fiesta, one of the largest events of its kind in Europe. Teams from around the country and the world launch their hot-air balloons, as many as 100 at a time before daily crowds of more than 100,000 enthusiasts. A half marathon is staged every year and in 2001 Bristol hosted the World Half Marathon Championships. Football, Rugby Union, Rugby League, cricket, speedway racing, mountain biking and ice hockey are among the other sports popular in the city. Night life in Bristol teems with concerts, comedy acts, plays, opera and pub life. Best of all, fun in Bristol is so well managed that the city has been the recipient of a Purple Flag Award for excellence in the management of city centres at night. A house sitting job in Bristol can be an excellent way to enjoy everything the city has to offer and to discover the charms of one of the UK’s warmest and sunniest cities.